Want to know more about a particular problem or solution to that problem? Want to know the extent of Mr Hardy's training and experience before seeing him by reading his C.V? Here you will find patient Information, John's C.V. and details of his teaching this year as well as some of the internet links he uses when discussing with his patients all of the management options available for his patients. All of his patients are consented for the videos he makes during surgery for anonymised use in teaching and learning to improve the standards of medical and surgical care through out the world. Mr Hardy's Curriculum Vitae demonstrates a committment to Good medical practice. Mr Hardy was the author of the first iPhone Knee Injury App for UK patients and the first version of the iPhone Knee Injury App for US patients. Mr Hardy works according to standards of care recognised by the GMC and many of his professional bodies. He maintains that his contract to provide medical care is with the patient. Mr Hardy does not contract to undertake professional medical care for insurance companies, sports clubs or thrid party organisations. Patient Choice: Mr Hardy regularly sees uninsured patients who prefer to self pay even if they thought they were comprehensively insured but find they have a restricted policy. Mr Hardy is happy to see any insured patient and still is seeing PPP AXA insured patients. However, AXA PPP patients that come to see him for a consultation should be aware that his team was unable to acquiesce to AXA PPP's request in 2009 to reduce his fees back to reimbursement not seen since 1994. This appears to be a restriction applied to many of the more experienced Consultants in the UK. To avoid disappointment please check the restrictions of which hospitals and which consultants you are allowed to see in the policy you were issued with when you applied to PPP AXA for Private Medical Insurance. Mr Hardy cannot advise on which insurance company offers the best value for money and which policies do not restrict where the patient is seen or which doctor they can see. Please do not ask Mr Hardy or his secretary to recommend a cheaper doctor or surgeon. Mr Hardy has been involved in medical education throughout his career. John was invited to appear on Dr Phil Hammond's Saturday Surgery "The only place where you can book a regular appointment with a GP on a Saturday!" 26th Feb 2011. He is regularly invited to teach Consultants from all over Europe on arthroscopic minimal acess skills. (Mr Hardy says that this is a good stopgap for those patients who present late with inoperabable contractures to prepare the hand for formal excision of the Dupuytrens fascia at a later date). Quadriceps Tendon Rupture This is a new radiological sign to prevent Quadripceps Tendon Rupture being missed by inexperienced A&E officers. Patella Dislocation in Athletes 5% of all patella dislocation are associated with an osteochondral fracture that is easy to miss on x-ray to the detriment of the athlete as early repair has a good prognosis and late recognition a bad one. Extracorporeal Shockwave Therapy for Tendonopathy such as Tennis Elbow (NICE). The Footballers Fracture A demographic study of the largest series of fractures in footballers managed by Mr Hardy ever published with a commentary by Steve Bollen editor of the British Journal of Sports Medicine. Dynamisation of Tibial Fractures When a patient needs to be treated with an External Fixator dynamisation results in beneficial changes in both cyclic movement progressive closure. Fracture Stiffness Measurement This is one of the only two objective measures of fracture healing that Orthopaedic and Trauma surgeons have to assess when a patient has healed and is match fit. Quantitative measurement of fracture healing is more accurate than qualitative measurement as long as the technique is performed properly. Callus Index and NSAIDS A small prospective randomised study that suggests but does not prove that NSAIDS have a beneficial effect on intramembranous fracture healing. Salvaging Stripped Drive Connections This is a technique to get an Orthopaedic and Trauma Surgeon out of trouble when removing metal ware. Tibial Fracture Stability This research looks at the influence of fixator type on the amount of micromovement at the fracture site. Tibial Fracture Movement During Normal Activity This research looked at the micromovement that was taking place at the fracture site with normal patient activity. Why does your surgeon loosen your fixator after 6 weeks? You have broken you shin in a football match and the surgeon has recommended one of the new lightweight disposable fixators. At about 6 weeks the surgeon will loosen part of the fixator to speed up healing. Here is the science behind why. 1.Autograft: This means the bone that comes from another part of yourself and be used on you to strengthen your own bone. 2.Allograft: This means that the bone will come from another patient to be used to strengthen your own bone. 3.Xenograft: This is graft from another species that is used to strengthen your own bone. 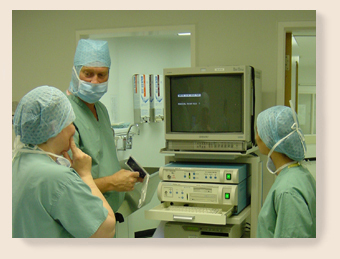 Anaesthesia Many operations are usually carried out under general anaesthesia as a day-case procedure. As a team Dr Coates, Consultant Anaesthetist and Mr Hardy, Consultant Orthopaedic and Trauma Surgeon offer an appropriate anaesthetic and good pain relief. Smoking Patients who smoke do not just risk lung diseases and cancer. There is plenty of evidence that smoking delays fracture healing following scaphoid fracture, open tibial fracture, compound fractures, osteotomy of the forearm and shin bone fractures. Happily, if you stop smoking then fracture healing is improved according to a Finnish study. So if you are a smoker and are about to undergo Orthopaedic or Trauma Surgery then stop at least 2 weeks before surgery and use the excuse to give up or accept the increase risk of complications. NHS Waiting Lists Many studies have shown patients choose convienience over quality. This is because it is difficult for a layperson to recognise quality of care. However, given the finite resources in the NHS 83% of patients would prefer to see a Consultant and go on a waiting list than wait to see a Consultant but have the opportunity to be operated on rapidly. Accuracy of Digital Image Analysis Digital image analysis of radiographs is 20 time more accurate than the human eye. Shaving with Static Electricity Mr Hardy has used this is a simple technique for reducing the risk of postoperative wound infection in the operating theatres for years. Fracture Reduction - Technical Tips Mr Hardy says that this is the technique he teaches on the Basic Surgical Skills courses he runs in Bristol and London for surgical trainees in Surgical Training years 1-2. Mr Hardy has for a number of years contributed as faculty member lecturing and teaching arthroscopy skills in the very successful Arthrocare Biology Shoulder and Knee Skills Lab at Christian Albrecht’s University of Kiel, Germany. He publishes arthroscopic skills for review by delegates in Germany on his Patient Advice Sheets web pages. to announce a development in the measurement of how drapes control bacteria and an invention for the reduction of risk of cross infection in surgery that will make a difference. There are many things a surgeon and his theatre team can do to reduce the risk of infection to below 1% like care when scrubbing to prevent bacterial contamination of surgical gloves. Showering With Sutures Many of John Hardy's patients ask about showering after surgery with sutures in the wound. Mr Hardy has reviewed the evidence and recommends that there is no additional risk of infection after his operations if you choose to shower. NICE guidelines on prevention of Surgical Site Infection recommend patients can shower after 48 hours. Mr Hardy recommends that the dry dressing can be removed for showering once you have gone 24 hours with a dry dressing and no further ooze. Mr Hardy's publications, including the references of some of the literature above, can be found on the Sports Injury Clinic website.